The new album from Lil Uzi Vert, the Philly rapper above performing at Made in America 2018, was the target of a hacker. According to reports, members of Discord paid a hacker to obtain and release at least one track from Uzi Vert's forthcoming album 'Eternal Atake.' The song 'Money Keep Coming' has been post online. 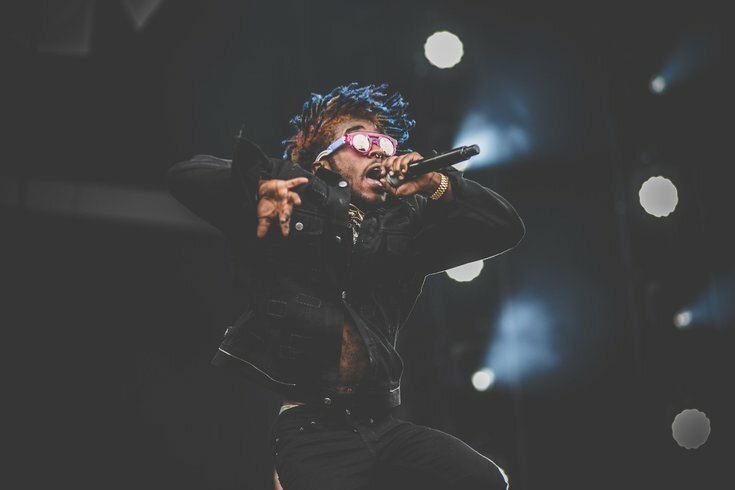 Philly rapper Lil Uzi Vert briefly quit music, semi-officially released a new single "Free Uzi" before it was taken down due to copyright concerns, is center stage in an ongoing and public dispute with his label Generation Now, and has been sitting on his forthcoming album "Eternal Atake" for months. He's had quite a year. Now, hackers reportedly are leaking tracks from "Eternal Atake" via a crowdfunding effort among Discord users. Members of the channel, which is typically used as a message board for video gamers, paid hackers $1,250 on Sunday to release "Money Keep Coming," which Uzi has previously performed and alluded to being on his new album. Fader reported the hacker responsible is allegedly a Discord user called SpirDark, who was responsible for leaking Uzi's music in 2016 and some Frank Ocean music in February. "Eternal Atake" reportedly has been finished since December, and there's been a whole lot of drama surrounding its release. But regardless, fans have been waiting on it for more than two years. Now, the leaks may push back the album release date even further. In an Instagram story on Sunday that has since been deleted, the rapper said, "Everytime something leak you know everything takes longer .... so have fun." A representative from Generation Now, Uzi Vert's label under Atlantic Records, told Fader "It doesn't affect anything at all. When Uzi turns the album in, we will put it out."